Opera Mini for Android has received an update that now gives users of the third-party browser a chance to see a more faithful rendering of a website. The new "High" compression setting provides less data-saving than the original version of the browser. The more extreme compression is still available by setting the browser to, well, "Extreme." With the "High" setting enabled, you will still save some data, but you will also get to see a website the way it was supposed to be seen. You also will get to view videos that would not make the cut with the "Extreme" setting. So Opera is now giving you a choice. You can compress a little, or compress a lot. Either way, you are putting some of your data allowance into the (ahem) data bank for future use. 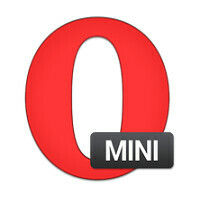 Opera Mini for Android remains a free download, available from the Google Play Store. Download Opera Mini for Android by clicking on this link. You want to reduce bandwidth and yet you want to stream music? Genius right here folks. Been using Opera for Android to access sites with broken Chrome support. Work well, and has fast rendering.